Check it out... if startling good orchestral composition, as well as blatant sense of fun allows you to move past the sometimes irritating electronica elements. Skip it... if repetitive electronica never bodes well with you, despite the fact that it's used in it's most inventive, impressive capacities possible. "Whether you like electronica or not, anyone and everyone should deeply enjoy this!" When such a game as Titanfall is announced, people lose their geeky minds; giant mech-suits and ground unit soldiers fighting side by side, in a generally even playing field, against other online players from all over the world. That description no doubt had gamers all over the world collectively drooling puddles on their desktop computers, and for good reason; Titanfall's premise sounded utterly brilliant. Respawn was not intending to go the route of your usual first person shooters, by first and most obviously adding giant mechs, as well as focusing primarily on the multiplayer aspect of the game, and dismissing the single player function entirely, which some perceived as a completely idiotic decision, while others embraced the idea. To be honest, I would relate most to the latter group. If I play a first person shooter, and it's not Borderlands 2, I'm focused near every time on the multiplayer aspect solely, and the single player campaign is something to do when connection is poor. So for me at least, this is a step in the right direction for first person shooters; leave stories to third person shooters like The Last of Us! Nonetheless, with such a badass concept as what was presented for Titanfall, we require an equally badass score. And who better to compose it than a man I know nothing about! Stephen Barton is a composer who's only work I can find on Spotify is Mrs Palfrey At The Claremont, a score which I'm yet to hear; yet undoubtedly, will hear, after this score. So what does Mr. Barton provide for this new concept of a game? Lets find out! 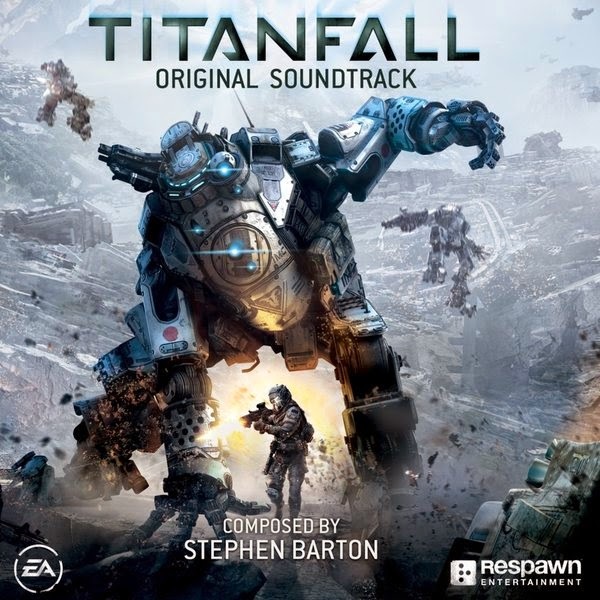 Titanfall is an exceptionally well executed piece, which for the most part, blends both electronica elements and orchestral performances together, to create a diverse and original score that lasts an hour. Whilst it doesn't contain the replay value of some of the other brilliant scores of the past year, it is most certainly a score to watch out for towards award season. Continually boasting an impressive array of action music, Barton has captured everything I believed was required of him. This score sounds as equally badass as the game has been acclaimed of being, without letting the score fall into completely generic action score territory. It's not a Modern Warfare 3, fortunately. Instead, it's more a Battlefield 3; if Battlefield 3 wasn't such a travesty of a score. Allow me to elaborate on this somewhat offensive comparison. Battlefield 3 was an incredibly poorly executed score, with a lack of thematical integrity, an over abundance of electronica and synth, and no fun or remotely enjoyable motifs what so ever; yet despite all this, it still had ambition. The repetitive nature of that score, if given to another more experienced synth composer may have appealed more to a wider audience, and some of the themes (Can I even call them themes? ), if approached with less aggression and heartless thumping of the same key, may have produced something that could be listened to without your ears getting blasted out. Funnily, Barton is kind of like that composer I speak of. Whilst not as experienced as I would've liked, Barton commands presence over his electronica, and produces themes that do continually repeat themselves, but in a progressing, more emotionally satisfying kind of way. It's not mindless droning music that saps your soul; instead, it allows both action scoring cliches to mingle with smartly written, often uplifting motifs and themes, to make something more than just a CoD ripoff. Make no doubt, I do enjoy a good CoD score, most so Modern Warfare 2 by Zimmer, but none of them even compare to this near masterpiece. Whilst you may tire of the direction Barton has decided to embark upon, you should forever be able to embrace his utterly impeccable compositional skills. I'm interested in hearing his other works, after this exquisite example of how well manipulation of various electronic devices can work. His thematic material is used sparingly, to deliver best effect, but what we hear in our title piece Cosmology is undoubtedly beautiful; it's uplifting, inspiring, and downright touching. The opening 8 semibreve motif reminds me greatly of Time, by Hans Zimmer, and immediately opens the album on a strong note; gentle, with the odd electronic wave flowing through, to make for a futuristic yet still human opening theme. Then the toned down action takes hold, and it's glorious, with the mix of live percussion and virtual elements working well to create some epic harmony. The only piece I can find to criticise where the electronica takes hold a little too viciously is our third cue, Peace and Order By Force, a hammering of a piece, that in all fairness produced nothing of real genius or great compositional skill, and my listening experience was less than perfect, to say the least. For that, this score does have to have points reduced. Fortunately, such a piece doesn't destroy the rest of the score, as the more authentic properties of the score, be it the choral or orchestral capacities, shine through some of the shameful use of electronica, despite there being so few of it. 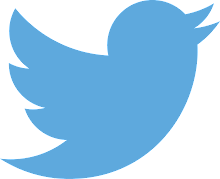 For the most part, it's entertaining and well utilized virtual elements do play an effective part. Action cues do take up the bulk of this album, so if you aren't interested in that concept, then look elsewhere. My taste for addictive, fun, fast-paced action puts me in good stead in this category, fortunately for me, so I certainly enjoyed this component greatly. And unlike an album constructed by a trailer music production company like Audiomachine or Two Steps to Hell, where the vast majority of the music on their albums are soaring action cues which develop individual themes within singular pieces, Titanfall takes a much tighter, futuristic approach, and often doesn't allow for those predictable thematic decisions. Don't mistake me completely; there are many a cue which develops it's own theme for constant use over the duration of that specific cue, but fortunately, Titanfall allows itself more leniency to allow time towards more crazy and rapid firing pieces, which take a more drastic and frenzied approach. Titanfall does feel like a score which is building to something, and does have a meaning behind all the madness, and the music that Barton has provided keeps the excitement on edge. In sum, Titanfall oft repeats itself, but allows time for new and exciting ideas to spawn, flourish, and blossom eventually. Whilst the original theme, heard in Cosmology, isn't heard nearly enough for my liking, I can find a number of impressive, well composed themes that entertain me quite drastically. It's impressive what Barton has managed to accomplish here, with such a game as this; a game that some would argue doesn't have a specific direction. A game without a campaign, at first glance, seems incredibly difficult to score for, and so for that alone, Barton earns extra credit. Despite it's relative misgivings, Titanfall is a gorgeous, vibrant score, that boasts a heap of fun for the average listener. You can purchase Titanfall on Amazon here.